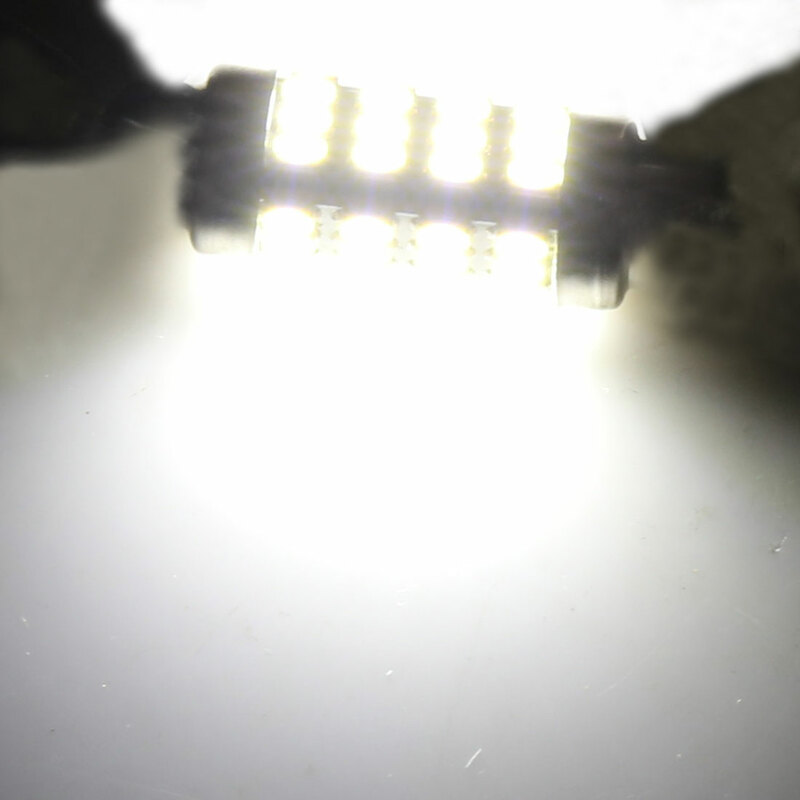 Each bulb has 8 5050 SMD chip, 2 5050 SMD chips on each side. At night, it is easy to attract more attention and make the drive safer with this LED bulbs. It is always a great investment to have a power-saving LED light bulb for your car. This energy-saving LED light bulb features high brightness, low power consumption, long service life, anti-dust and anti-collision. It is safe and reliable, a perfect eco-solution. Meanwhile, it is easy to install and operate. Save money in the long run and facilitate your life from now on. Please turn off the light first before installation and be careful while removing the stock bulb, it may be very hot. Simply remove your old bulb and install the new LED bulb in it is place. If the light does not immediately turn on flip it 180 degrees. Please kindly move the metal pin clips closer so that they can mount the festoon tighter in case the bulb is slightly loose in socket. Please note: Some newer models of european cars or cars with canbus system may need to purchase the Canbus Error Free bulbs to bypass the on dash error message. Please research before making purchase.